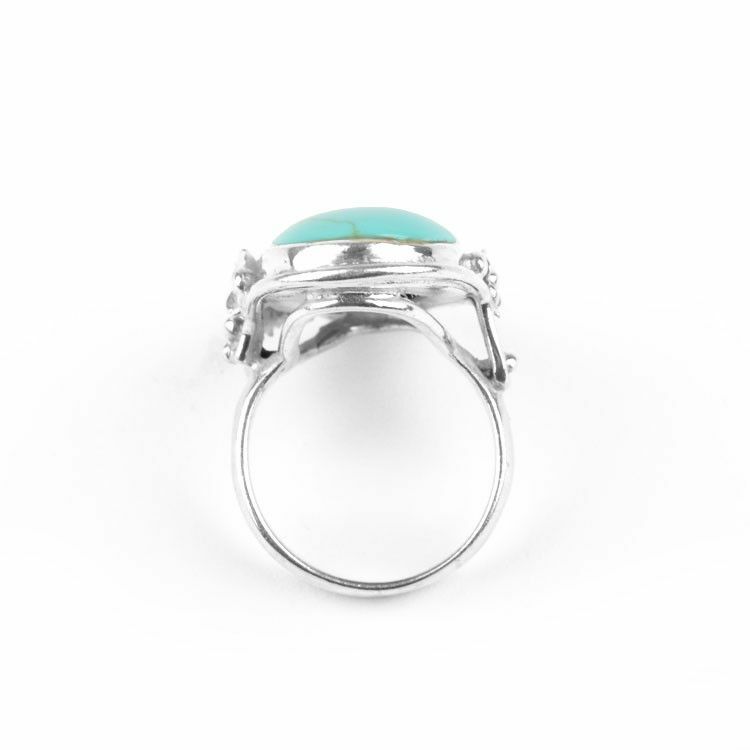 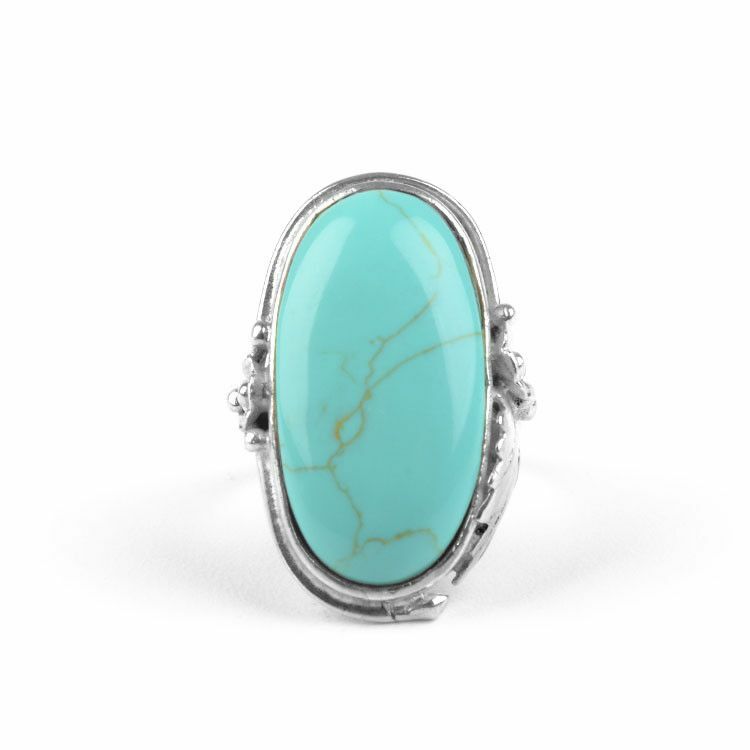 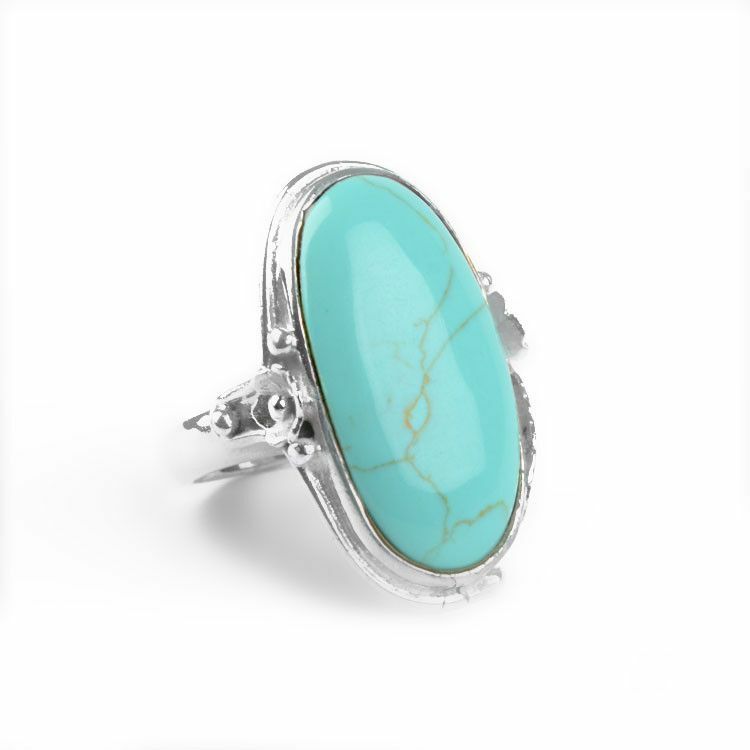 This large ring features a natural and polished turquoise stone that is 1 1/8" long and 5/8" wide. 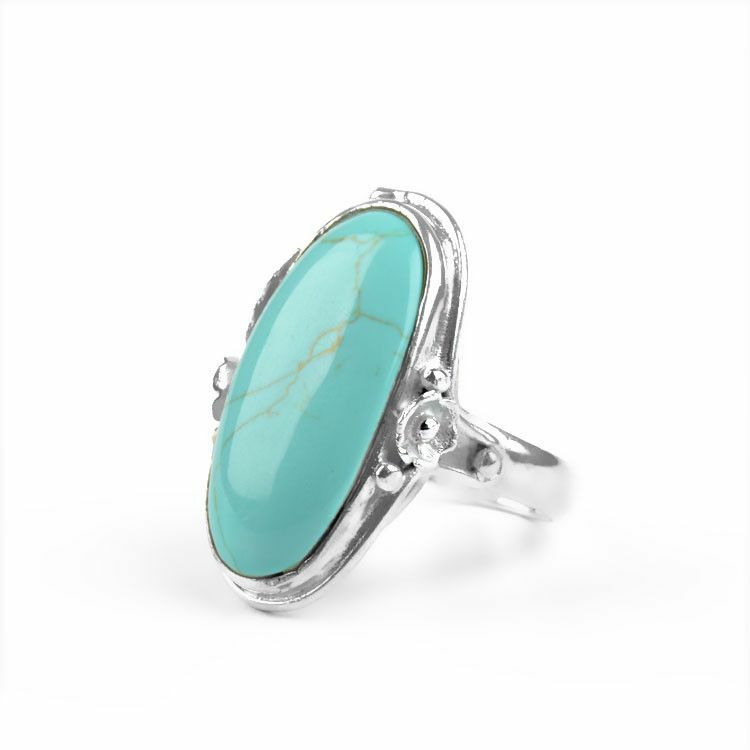 The blue-green gem is surrounded by a lovely detailed flower and leaves design made out of sterling .925 silver. 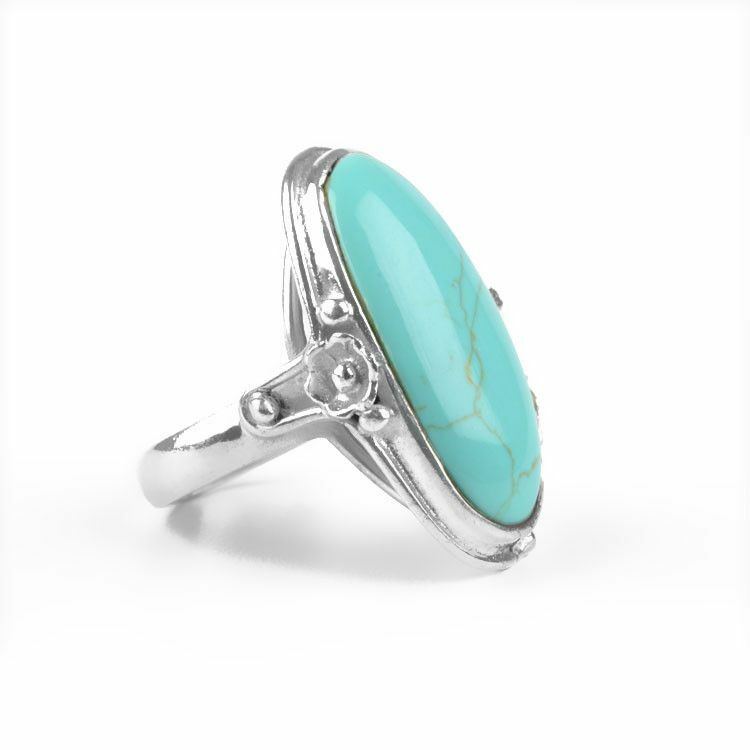 This eye-catching ring is superb for anyone who loves big and bold jewelry, and/or anyone who loves turquoise!